Wondering when we will get our first glimpse of Shadow of the Tomb Raider gameplay? Curious to know what games conventions and festivals will be hosting events in honour of the upcoming game? Desperate to know when the first batch of season pass DLC will go live? 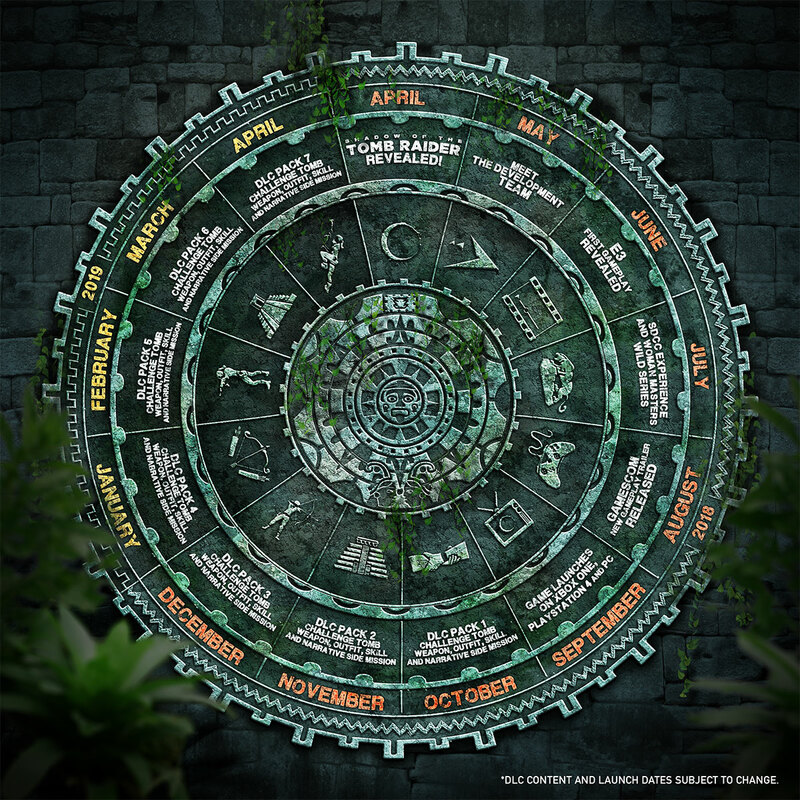 Square Enix, Eidos Montréal, and Crystal Dynamics have published an events calendar on the official Tomb Raider site to give fans an idea of what they can expect over the next twelve months. The Maya-themed events calendar listing events up to and including April 2019. The reveal of Shadow of Tomb Raider, which included our first batch of concept art and screenshots, game information, and a new trailer, “End of the Beginning”. 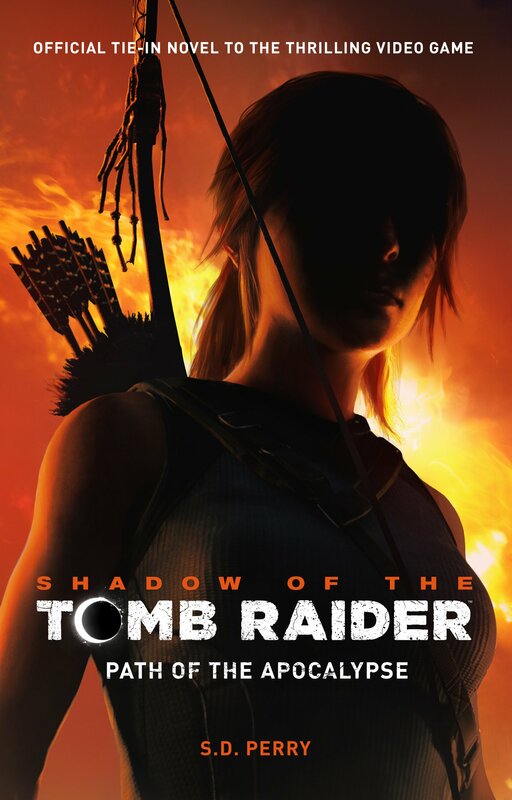 Fans attending the Tribeca Film Festival or any of the promotional events in London, Montréal, and Los Angeles were able to play an extended demo for the game but fans at home will have to wait a little longer to see any gameplay footage. Click here to read an archaeologist’s first impressions of the demo and click here to watch the Q&A panel with the game’s creative team and actress Camilla Luddington. 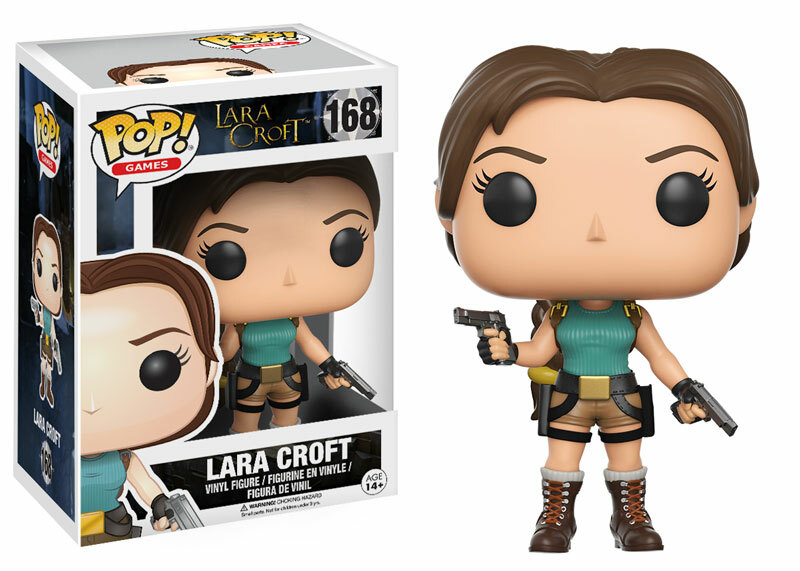 In May, fans will get to know the development team responsible for creating Lara Croft’s latest adventure. Between May 21 and the E3 show, fans are invited to learn more about the development team working on Shadow of the Tomb Raider by watching a brand new video series, Meet the Team: Eidos Montréal. In June, Tomb Raider fans will get their first long-awaited look at Shadow of the Tomb Raider gameplay footage during E3 2018. Dates and further details to be announced. In July, fans will be able to attend a Shadow of the Tomb Raider experience at San Diego Comic Con (July 19 – July 22). 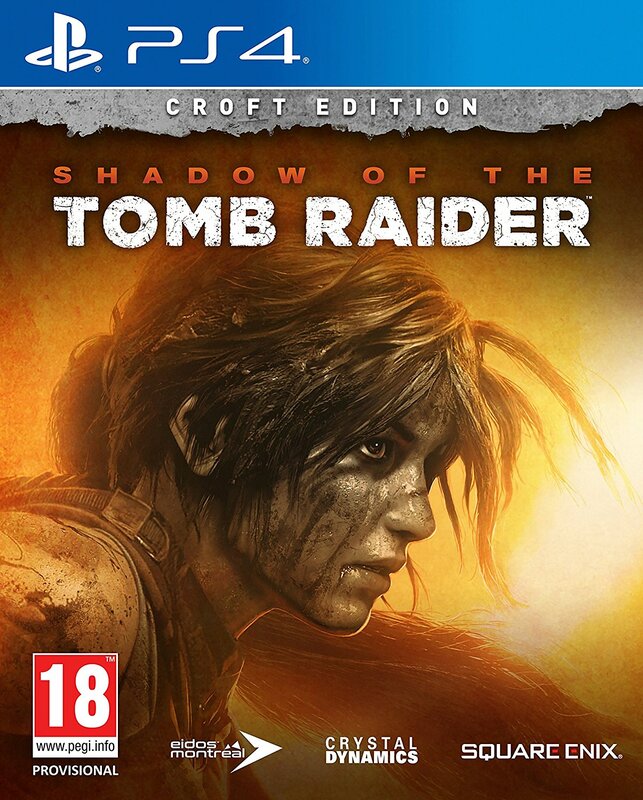 This month will also mark the launch of the “Woman Masters Wild” series, which will probably be similar to the “Woman Versus Wild” series that was used to promote the 2015 game, Rise of the Tomb Raider. In August, Shadow of the Tomb Raider will be showcased at Gamescom (August 21 – August 25) and a new gameplay trailer will be released. 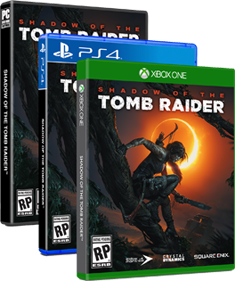 In September, fans will finally be able to play Shadow of the Tomb Raider on their Playstation 4s, Xbox Ones, and PCs as from September 14… or as early as September 12, if they have pre-ordered the Digital Deluxe/Croft/Ultimate Edition. In October, the first DLC pack will be available to season pass holders and will unlock co-op functionality. In November, the second DLC pack will be available to season pass holders. In December, the third DLC pack will be available to season pass holders. In January 2019, the fourth DLC pack will be available to season pass holders. In February 2019, the fifth DLC pack will be available to season pass holders. In March 2019, the sixth DLC pack will be available to season pass holders. In April 2019, the seventh (and final) DLC pack will be available to season pass holders. Ready to place your order? 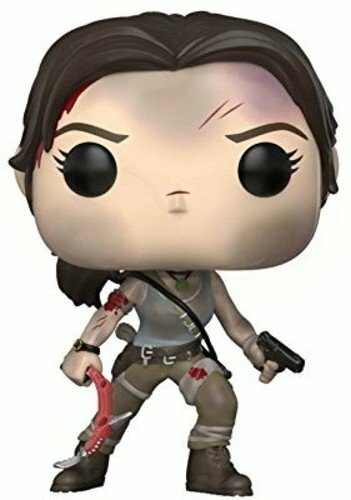 You can order Shadow of the Tomb Raider on Amazon or Amazon UK! 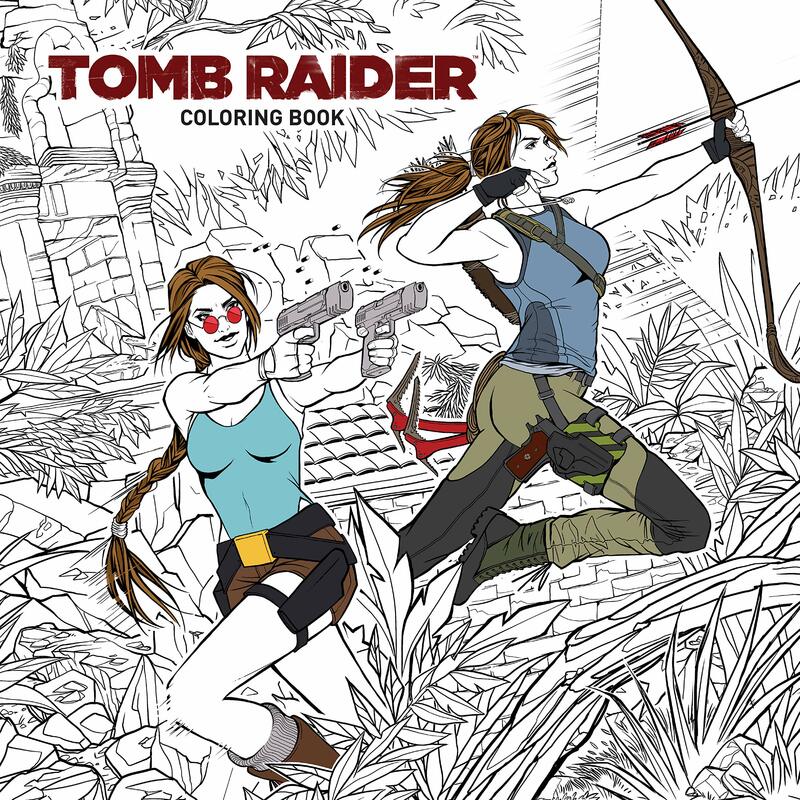 Click here for a complete archive of Shadow of the Tomb Raider articles. Although I may be too early in asking this, do you know if non-season pass holders will be able to purchase the dlc when it comes out? If it’s anything like the DLC for ‘Rise’, people should be able to purchase the DLC as separate add-ons. It may just cost more to buy them all separately (which is probably why they offer a season pass).